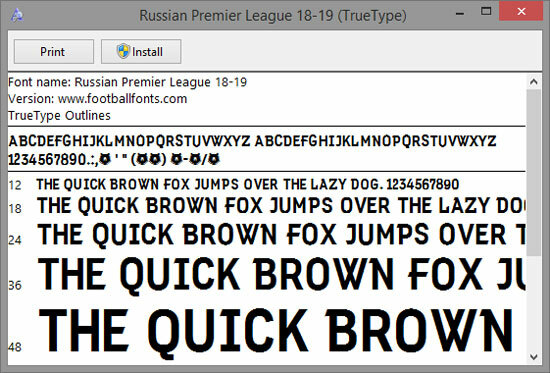 The Russian Premier League have released a new typeface for their football competition that will be used start from the 2018-2019 season. The new font will be used on the new Russian football teams kits, on the billboard of important games, television broadcasts, pictures for social networks, banners and others. This new RPL font typeface is available in TTF and OTF files. It support all cyrillic character for Russian language. Compatible with Windows and Mac OS. TTF/OTF font is one-layer plain font. Easy to use with just typing on your keyboard.